I’m at Bakerella‘s book signing in Austin! We’re about to embark on a fun Girl Hunter Weekend to celebrate outdoorsyness, togetherness and my upcoming Girl Hunter book release. Amazon just named it a “best book of the month,” which is pretty exciting. 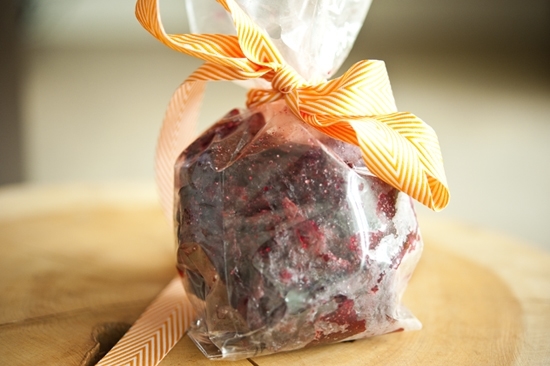 But I want to talk about cranberries and another homemade holiday gift idea. I love homemade gifts, they’re so satisfying and thrifty and pioneering. 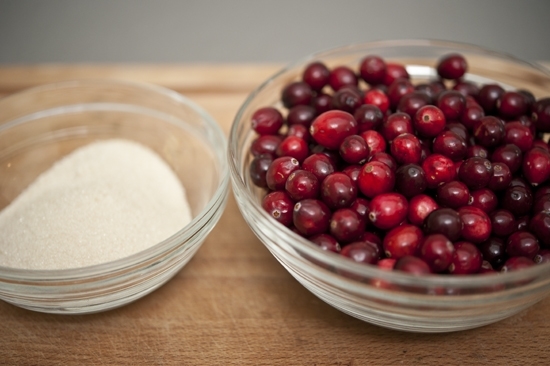 It’s super simple, you start with a bowl of cranberries and some sugar. 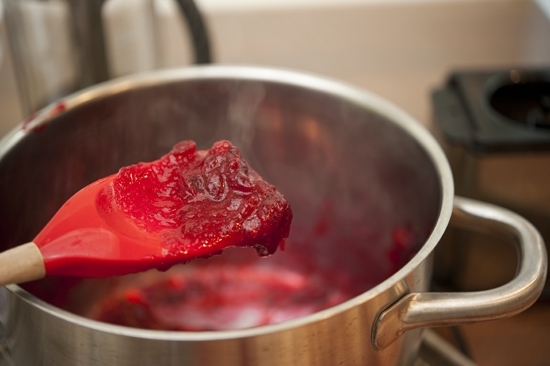 Toss the cranberries in a pot with water and turn on the flame. Let them stew, giving them a stir every so often. 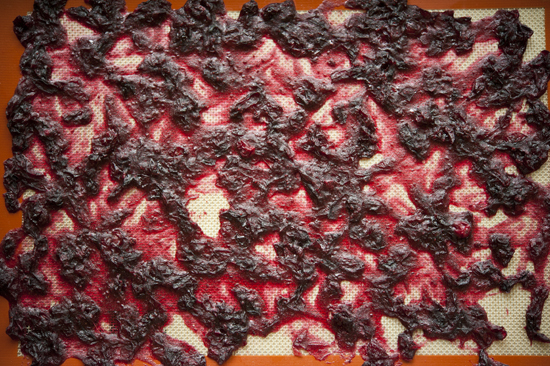 They’ll start to burst and that’s A-Ok.
You’ll spread them out on a silpat or parchment…. There will be some jelly goo surrounding it but that’s okay. It will turn into the fruit roll-up type bites. But bite sizes. 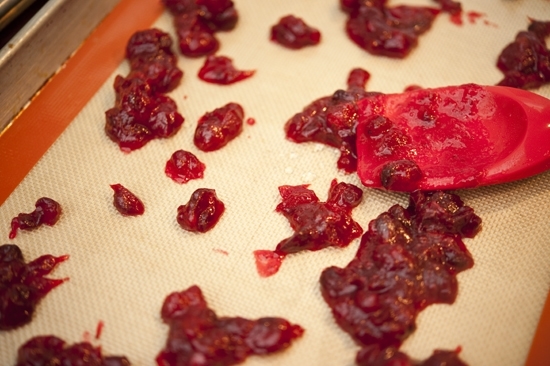 Separate the cranberries as best you can with a fork so they have space to dry. You’ll dry these on low heat for a lot of hours. They’re done when they’re just slightly tacky. Peel them off a bit at a time and put them in festive gift bags. I used simple plastic bags, but I bet you could find some better ones at a good craft store. Sprinkle a little sugar in there too to help keep them from sticking together. Then throw a bow on there to finish it off! These are wonderfully delicious… they have a great tartness to them which make them rather addictive… like sour patch kids. 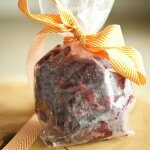 And they make a great hostess gift. 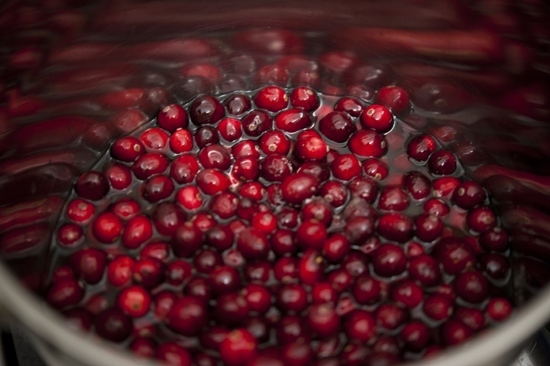 Combine cranberries, sugar and water in a medium sauce pan over low heat, and stir to dissolve the sugar. 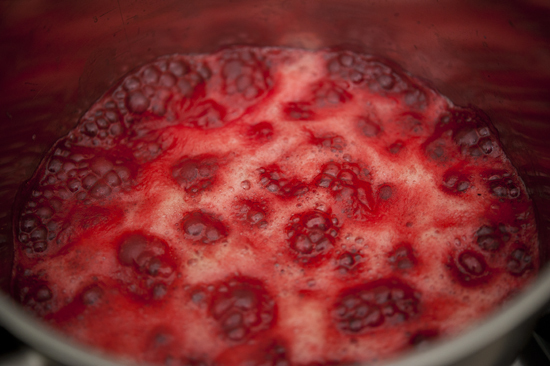 Gently simmer until the liquid foams and thickens and the cranberries burst. Meanwhile, preheat the oven to 200 degrees Fahrenheit. Line two sheet pans with parchment and lightly brush with oil. Alternatively, line the sheet pans with silpats. 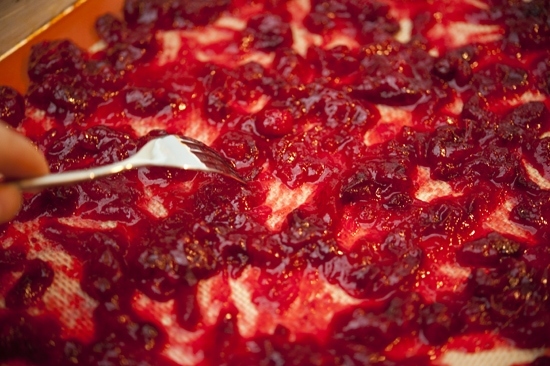 Remove the cranberries with a slotted spoon and spread them evenly over the pans. Separate the individual berries as best you can with a fork. Place in the oven and let dry about 8-10 hours or until only slightly tacky. 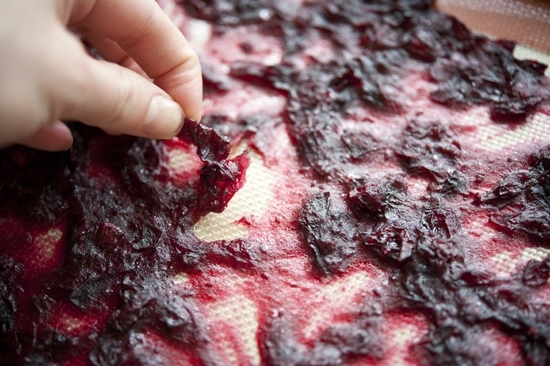 Gently peel the cranberries off the parchment or silpats into bite-size pieces with your fingers. Roll the pieces in sugar to keep them from sticking together. Store at room temperature in an airtight container. I add raisins and cut up dried apricots to this mixture and proceed as directed. Excellent presentation and the taste is yummy…. 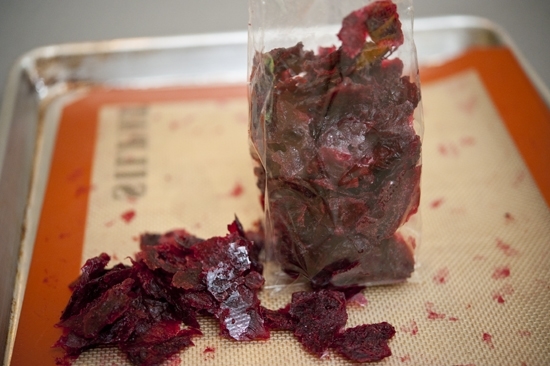 Can dried cranberries be used in place of fresh ones for this recipe? 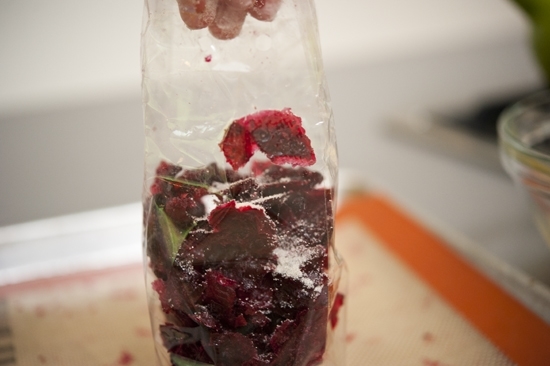 You are actually making dried cranberries from fresh ones in this recipe, so you wouldn’t start with them.